David Fincher’s profiling crew has now been fully assembled, as Deadline reports that the director-producer has enlisted an old friend (well, collaborator) to lead his Mindhunter series for Netflix. 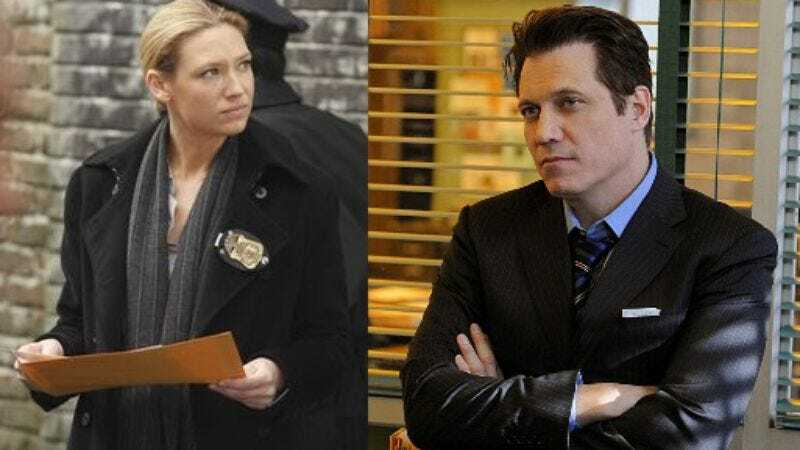 Blue Bloods’ Holt McCallany, who worked with Fincher in Fight Club and Aliens 3, has been cast as “the inquisitive and skilled FBI Agent Bill Tench,” who teams up with Holden Ford (Looking’s Jonathan Groff) in 1979 to interview serial killers—who are presumably incarcerated, and not just the least popular guys at work—in order to help them in their ongoing investigations of murderers at large. McCallany has alternated between playing some form of civil servant (The Perfect Guy, Golden Boy) or a wisecracking heavy (Run All Night, The Losers) for most of his career, so he’ll probably draw from that well of onscreen analysis and forbearance to deal with chasing some of the country’s most notorious serial killers. Also joining him in the behavioral science unit is Fringe’s Anna Torv, who will play a psychologist. Details for the show, which is based on John Douglas and Mark Olshaker’s Mind Hunter: Inside the FBI’s Elite Serial Crime Unit book, had been scarce following Netflix’s announcement that it had picked up the series from Fincher and co-executive producer Charlize Theron. But since the source material’s well known at this point—Douglas’ career, as we’ve mentioned in every post about Mindhunter, informed the Jack Crawford character who’s popped up in so many Hannibal Lecter-related productions—we haven’t exactly been left in the dark either. Fincher is set to direct the pilot episode, which is being written by Joe Penhall and Scott Buck.